The Fold is a pleat, or demarcation in a continuous form. It implies continuity, not discrete parts. A folded line never dissolves into striated points, it retains the fluidity of the wholeness (1). Although we can notice a difference or small friction in the surface, the line is never sacrificed. Willits’ trademark sound is the result of a melodic guitar lines, folded into and on top of each other in real-time. The rhythmic structure of the music is generated from this process. The light pinprick transients, (creases in the body), reveal the reorganization of melodic/harmonic passages. These are the demarcations or an artifact of a rearranging plane of sound, and emerge from the process of folding. 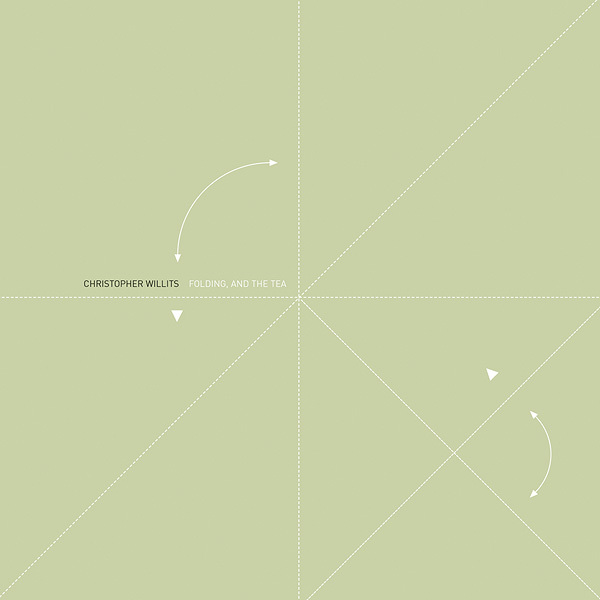 Similar to a folded sheet of paper, the music is simultaneously fragmented and continuous. Melody and rhythm are folded into each other, they coincide and interlock. Christopher’s interests lie in music that is generated spontaneously, non predetermined. It is a focus on the aesthetic, and material implications of self organizing systems - how fluid yet geometrically dense structures grow from a set of interacting, well designed building blocks. His music is a direct result of the processes involved. Overlapping software processes recontextualize warm guitar chords and folded acoustic timbres into loose and fluid forms while still retaining a feeling of geometry and centeredness. These systems take on a life of their own, generating a music of constant variation and repetition- structures that persist yet gradually drift. Willits recently completed graduate research at Mills College where he studied with Pauline Oliveros and Fred Frith, and explored structure-generating processes in music- a focus not unfamiliar to former Mills students John Cage and Steve Reich. Prior to Mills, Willits received a solid visual arts training in painting, sculpture, and video art at the Kansas City Art Institute, where he instigated the post-rock band Saturn 138, and began to germinate his interests in the structure of dynamic systems alongside Patrick Clancy. Christopher’s work has been shown abroad, including; Hard|Soft|Wet: Artificial Life event in Sydney, Australia, Unbroken View/Translation- a traveling surround sound environment, and in numerous live performances. 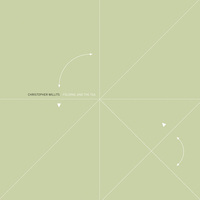 In addition to 12k, Christopher has proliferated music through the collaborative space of visuallistening.com and has released material with the label Fallt.